Anthony Lewis » Who’s been to the moon? Who’s been to the moon? 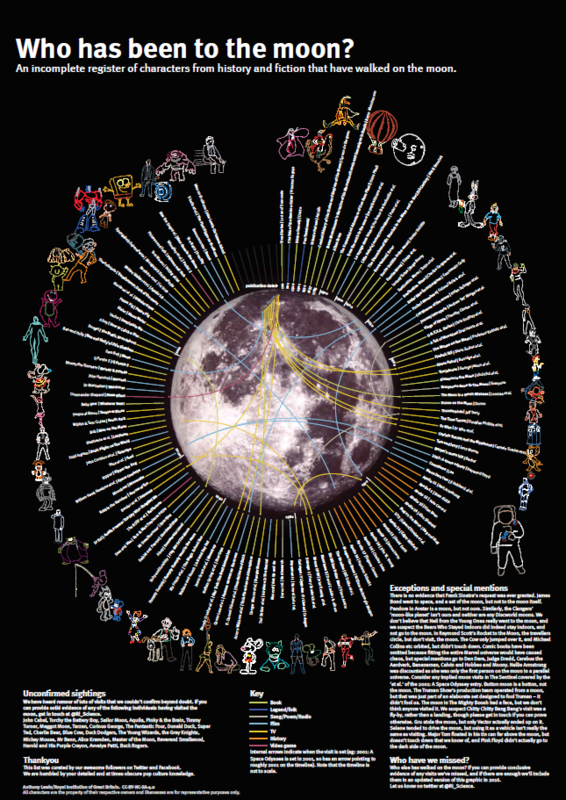 A infographic of fictional – and real – characters who’ve visited the moon. The list was provided by the enthusiastic followers of the Ri on Facebook and Twitter. You can download this as a printable A3 poster.